Aaron Jackson, a well-known activist who runs a nonprofit organization called Planting Peace, has just declared Antarctica the first LGBT-friendly continent. 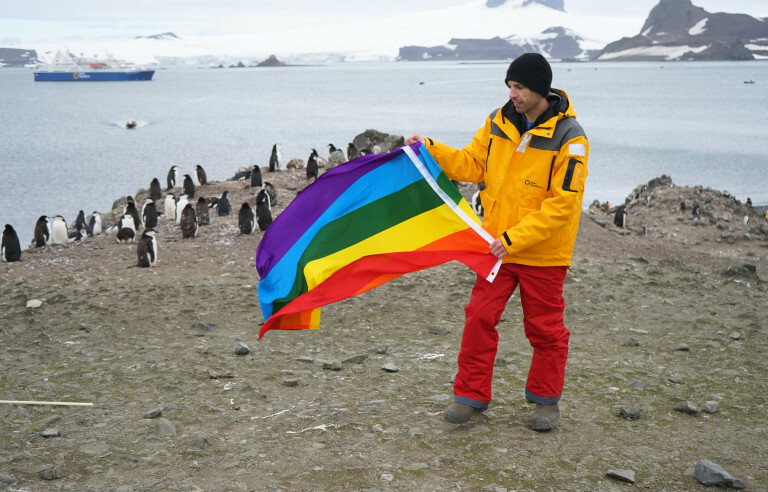 He visited the freezing land the first week of March and unfurled both a rainbow gay-pride flag and a pink-and-blue transgender pride flag. He declared: “I was just watching a documentary on Antarctica and thought, ‘Aw, man, ‘I’d like to visit Antarctica — that would be real interesting. Maybe I should bring a pride flag.’ It’s not governed by any one country — just international treaties. No government is in charge of Antarctica. That would be interesting if we declared it the first gay-friendly continent. The reality is, no one will be able to tell me it’s not”. Jackson flew to Argentina, then joined a cruise on a research vessel. 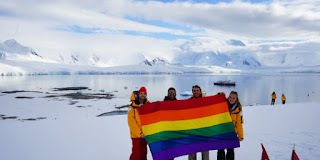 He said the purpose of the trip was to spread “visibility for the need for basic human rights for the LGBT community. 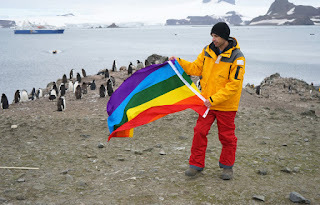 It was an honor to carry the pride flag throughout Antarctica, and Planting Peace will not stop fighting for LGBT rights until all sexual minorities experience full, fundamental rights in every corner of the world”.